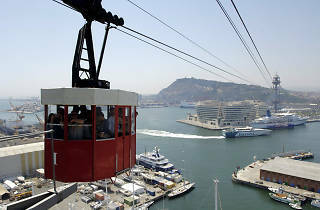 The Port Cable Car crosses the port from the San Sebastián tower in Barceloneta beach, and has a second stop at the Jaume I tower before arriving at the lookout of Miramar de Montjuïc – all at 70 metres above ground. The total course is 1,292 meters and takes about ten minutes to complete. The Telefèric was an idea that Carles Buigas had, and it was carried out with the help of Ramón Calçada and Josep M. Roda, originally to connect the 1929 Barcelona Exposition with the sea, though it was not finished in time. It was closed during the Spanish Civil War, its cables stored away and the towers changed into strategic defence sites for the port. 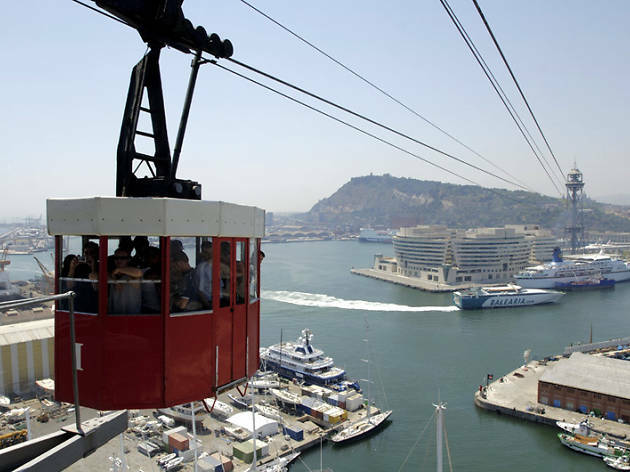 In 1958 Teleféricos de Barcelona S.A. took control of the facilities, which reopened in 1963 and worked nonstop until 1995, when restoration works were done on the San Sebastián and Jaume I towers.